PITTSBURGH, PA, February 12, 2018 (GLOBE NEWSWIRE) Petrosoft, a global provider of retail technology solutions, announces the launch of Petrosoft Marketplace, its game-changing B2B retail technology ecommerce site designed to address the gap in how technology is sold to and purchased by retailers. 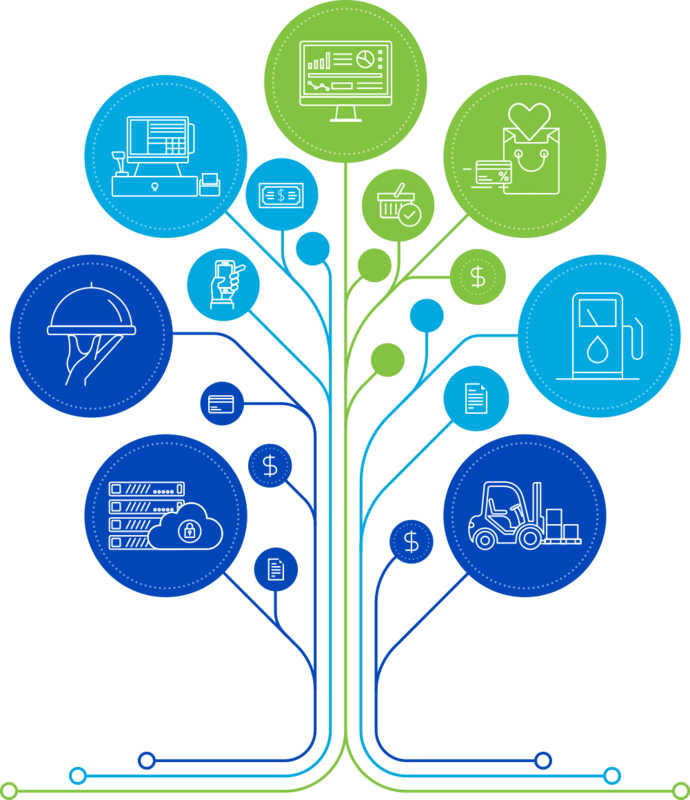 The site meets the global retail, foodservice, and downstream petroleum industries’ demand for an instant way to discover and purchase end-to-end integrated technology solutions. Petrosoft’s online marketplace reflects the company’s philosophy of providing sophisticated solutions for retailers in a simple, transparent, and accessible way. PITTSBURGH, PA, Jan 24, 2018 (GLOBE NEWSWIRE) Petrosoft announces that it has chosen Intel® as its chip supplier for its next generation of retail Site Integration Network solutions. The chips will power the facility-level terminals which connect on-site retail devices such as IoT sensors, forecourt controllers, POS, ordering kiosks, loyalty, kitchen display units, and ATGs to Petrosoft’s Site Integration Network. [PITTSBURGH] – [Jan 9, 2017] (GLOBE NEWSWIRE) – Petrosoft will debut its SMB enterprise solution, Petrosoft Enterprise powered by SAP Business One®, at NRF 2018 Retail’s Big Show & EXPO. Petrosoft Enterprise, which integrates the SAP Business One application with the Petrosoft cloud suite, is designed to meet the information needs of an organization and the retail ecosystem. It provides real-time analysis and data distribution between facility-level and head-office operations, helping to increase efficiency and visibility to support profitable growth and position the retailer to take advantage of IoT technology. Pittsburgh, Pennsylvania, December 7, 2017 – In order to meet the growing demand for its retail operations, ERP, BI, and global cloud apps and technology solutions, Petrosoft, LLC has consolidated its business operations at its new headquarters in Pittsburgh, PA.
Pittsburgh, PA, November 28st, 2017 – Petrosoft, a leading provider of cloud-based retail solutions, and CardConnect, A First Data company, announced a partnership that will secure payment acceptance and streamline business operations through a seamless, integrated offering for merchandise, fuel and food service retailers. [PITTSBURGH] – [Oct. 17, 2017] (GLOBE NEWSWIRE) – Petrosoft today announced the debut of Petrosoft Enterprise, powered by SAP Business One® running on SAP HANA® at the National Association of Convenience Stores (NACS) October 18–20 in Chicago. Petrosoft Enterprise, which integrates the SAP Business One application with the Petrosoft cloud suite, aims to provide a true enterprise resource planning (ERP) and business intelligence (BI) solution to customers in the underserved small and midsize enterprise (SME) segment of the North American convenience store and petroleum industry. Now in market, this powerful solution draws on technical and industry expertise from both companies, and is designed to streamline customers’ entire business with a single system. CHICAGO, Oct. 18, 2017 (GLOBE NEWSWIRE) – Petrosoft and IBM (NYSE:IBM) have entered into a strategic partnership to develop its fourth-generation site integration network for the retail and downstream petroleum industries. IBM’s Informix Enterprise Edition provides an extremely powerful database to leverage the capabilities of Petrosoft’s site integration network solutions. These solutions are built using industry standards and leverage today’s most advanced enterprise databases, network architectures, data exchanges, and data models. BROOMFIELD, Colo. –(BUSINESS WIRE)– Brother Mobile Solutions, Inc. (BMS) a wholly-owned subsidiary of Brother International Corporation and premier provider of mobile and desktop thermal printing products, has forged a partnership with Petrosoft, a leading provider of cloud-based solutions for the retail industry. Petrosoft identified Brother RuggedJet® 3” mobile printers for use with its in-store on demand label printing applications. PITTSBURGH, PA – With the speed of changes in the retail landscape, consumer demand, and technology, Petrosoft recognized the need to deliver real-time operational insights to retailers so they can effectively compete within today’s retail ecosystem. This retail back-office solution delivers these insights by streamlining retail operational workflows, data inputs, and data outputs through a secure cloud-based (SaaS) solution and integration with industry-leading retail systems. PITTSBURGH, PA–(Marketwired – December 07, 2016) – Petrosoft introduces the next generation of its cloud solutions, Petrosoft Cloud. With the company’s growth in products, services, and integrated solutions, Petrosoft Cloud amplifies and bridges the services delivered within this unified cloud solution. It is the backbone of the company’s cloud-based and cloud-connected services.